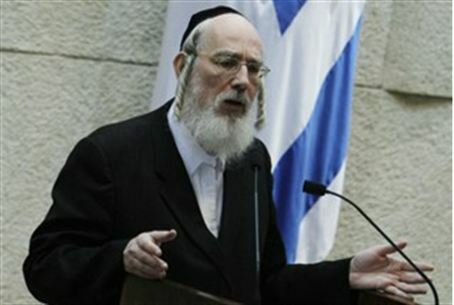 Knesset Member Rabbi Yisrael Eichler has called for “quality in the IDF” by canceling the obligation to serve in the forces. United Torah Judaism Knesset Member Rabbi Yisrael Eichler has called for “equality in the IDF” by cancelling the obligation to serve in the forces, a move he said would improve the army and free unneeded soldiers to work and learn. His suggestion came hours after journalist-turned-politician Yair Lapid told supporters, “I don’t hate hareidim” while urging equality making the requirement for national service applicable to all Israelis, including Torah students and Arabs. MK Eichler said in an Israeli radio interview that canceling the draft would free half of what he said is unneeded and wasted manpower in the IDF that conscripts young men even if they are not suited for regular service. One of the principles of the IDF is to make programs adaptable for men from all sectors, including those with a background of family problems or criminal records. Army programs also are geared to certain immigrant groups, and new units have opened up to accommodate those from the hareidi religious community. MK Eichler also criticized Tzipi Livni, who announced Tuesday she is quitting the Knesset. He also had words for Lapid, who is heading a new party as the campaign for an apparent election in September begins with a focus on government funding for hareidi religious Torah institutions. Those focusing on the issue of hareidi religious Jews are ignoring primary issues of problems in housing, employment and education, said MK Eichler. He also charged that hate of the hareidi religious community is what caused the downfall of Livni, who lost out to Shaul Mofaz in a recent leadership vote. In her Knesset speech Tuesday, Livni spoke “as if the country belonged to her, and she had the power to sell it to foreign newcomers like the hareidim, who had invaded her land,” Eichler said. Nobody who values democracy would dream of speaking about racial minorities or foreign migrants the way Livni talks about hareidi-religious Jews, he noted.